Here at Helm we welcome all kinds of entrepreneurs…even the furry kind! For us, co-working doesn’t just mean sharing your space with other people, it means sharing it with our furry friends too. And why wouldn’t we when there’s so many benefits to be had! A study in the International Journal of Workplace Health Management (say that fast!) shows that letting dogs come to work with us reduces our stress levels and improves job satisfaction. 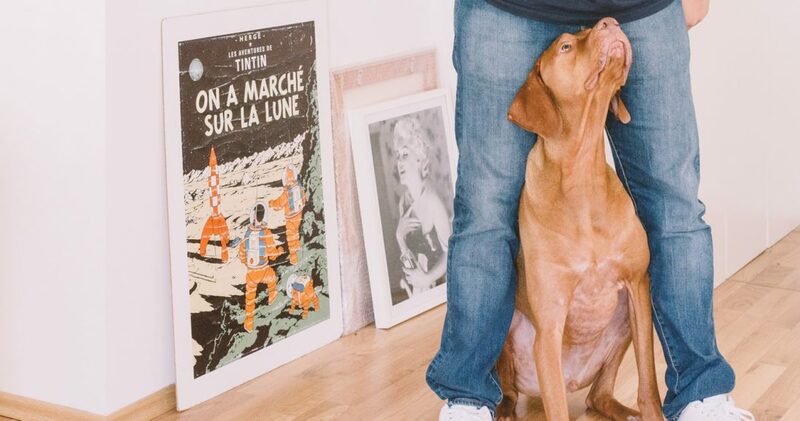 Dogs create a calming atmosphere, which not only works for the owner but also for non pet owners in the office too. Having a dog in the office will help remind you to get up, walk around and take a break from staring at your screen. Being sat down for long periods of time has been linked to obesity, premature death and other illnesses (scary stuff!). No one likes waving goodbye to their faithful friend(s) each morning because it’s usually accompanied with a huge wave of guilt. That must be why the dog treat industry does so well, they know we leave a treat BECAUSE we feel bad when that cute little face is watching us lock the door. By bringing your pet into the workplace, you get to have some quality time with them while you work, and you feel much happier because you know they’re happy. 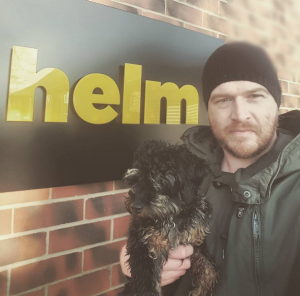 To prove we know this is true, here’s a picture of our very own Paul (Unbloq) with his dog Walter outside Helm. Yes that’s his happy face…he smiles with his eyes, okay! As you’ve guessed from the image above, Paul (Unbloq) brings his jackadoodle Walter into Helm all the time, and he’s definitely helped bring everyone together. 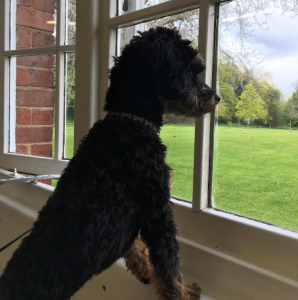 Walter even has his own Instagram account – he isn’t just a hit with all of us at Helm, he’s taking the world by storm too! To finish off, I think we should see what Walter thinks of his new work / life balance? To learn more about bringing your pet to Helm, why don’t you give us a call and book a tour? You never know, you might bump into Walter on your way round!